From healthcare innovators pursuing clinical research to frontline diagnostics in hospital testing labs, affordable, reliable and robust technologies that deliver the utmost accuracy as quickly as possible is vital. Until now, many busy clinical labs have settled for the undesirable compromise of costly send-out testing, as cutting-edge technologies have previously been unobtainable. The implication is high outsourcing expenditure, extended turnaround times and subpar assay performance – all directly influencing patient care. Labs can now move towards greater clinical accuracy and better turnaround times, while improving the LC-MS/MS bottom line. 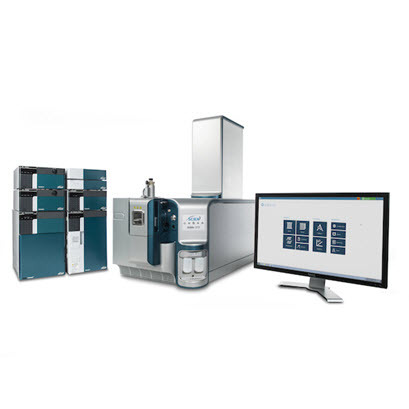 SCIEX has simplified LC-MS/MS and removed the intrinsic complexity of clinical mass spec systems. For the first-time, powerful, robust and accurate clinical mass spec technology is accessible to labs that need to expand clinical services with limited resources. Designed specifically to meet the everyday demands of clinical labs, our intuitive systems are fully backed by world-leading support and training services. Scientists of varied skill levels can quickly and successfully master our intuitive clinical mass spec workflows, delivering fast and accurate results in a fraction of the time that was previously possible. With an unparalleled track record in innovating robust LC-MS/MS technologies, delivering the ultimate reliability in handling high volume testing with accurate results, SCIEX mass spec solutions support the entire biomarker research pipeline. From substantiating new discoveries through to end-to-end validated workflows for high-throughput biomarker testing in the clinic, we are trusted by scientists to advance their work in the fields of clinical, research, omics and diagnostics. Operate at the leading edge of clinical research, screening for emerging relevant biomarkers. Discover proven workflows for protein, lipid and metabolite quantitation designed for large sample studies, that will empower your research towards development of new tests for improving human health and disease diagnosis. See how mass spec is utilized across clinical research for lab developed applications. Sensitive analyses that deliver accurate results you can trust for endocrinology, therapeutic drug monitoring, toxicology and other research applications. Embrace the future of diagnostic accuracy with mass spec. Validated, verified and cleared assays that deliver results you can trust and make mass spec easy to implement into your clinical lab.